While on a recent trip to the Mystic Aquarium in Connecticut, two small children had an encounter with a beluga whale that's now going viral. For several moments, the captive animal interacts with the astonished youngsters, much to their delight. But while the experience is clearly a whimsical one for the children and adults on hand, to say the beluga is being "playful" (as many outlets have reported) is a grave misinterpretation. Action starts at :51 seconds. According to Dr. Lori Marino, a beluga behavior specialist with The Kimmela Center, the animal's behavior is "absolutely definitively aggression." "The open mouth and posturing are typical of the way cetaceans express aggression and I've seen a lot in captivity in the very same circumstances. This poor animal is telling the kids: ‘Get away'. It's a threat," Dr. Marino told The Dodo. "While belugas and other cetaceans in the wild make the same aggressive motions (open mouth, etc.) in this case, in my opinion, it is clearly due to the fact that these whales are crammed into this tank and have nowhere to go to escape the screaming kids poking at the glass." In other words, what many have chosen to see as an example of how captivity allows for a feeling of connectedness with whales, orcas and dolphins, is actually an indication of their suffering. And it should hardly come as a surprise. Since the practice of keeping cetaceans in marine parks and aquariums began more than 50 years ago, science has come to understand that they are among the most intelligent animals on earth, not so far removed from humans. There has been a growing sentiment, in the wake of films like "Blackfish" and "The Cove", that society's treatment and confinement of cetaceans amounts to cruelty, and that they should be regarded not as animals, but rather as non-human persons, beings deserving of the most basic rights of freedom. Still, that hasn't stopped aquariums and marine parks from trying to add more belugas to their exhibits, even if that means taking them from their natural habitat. 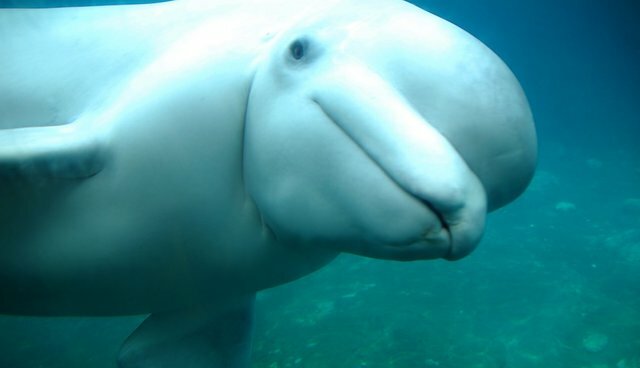 It was recently revealed that the Georgia Aquarium has been quietly trying to import 18 beluga whales into the U.S. that were taken from the wild off the coast of Russia.